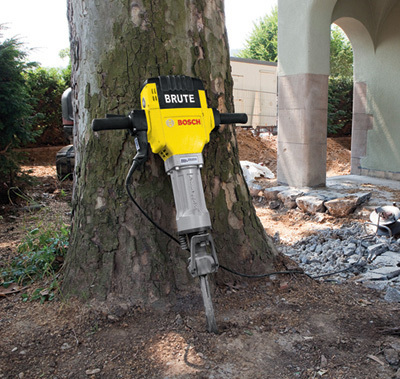 The Bosch BH2760VC Brute Breaker Hammer delivers the best concrete removal rate in its class, impressive for a tool that weighs just 63 Lbs. 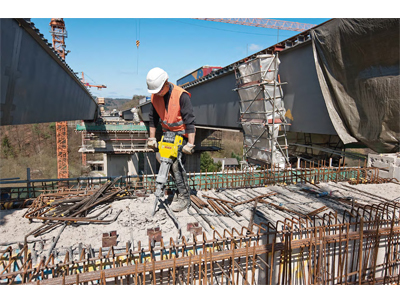 Providing 1,000 BPM and 35 Ft.-Lbs. 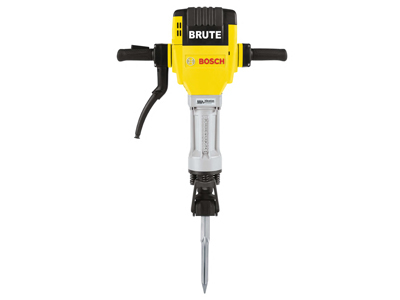 of impact energy, this tool can handle heavy-duty applications such as asphalt work or foundation removal. 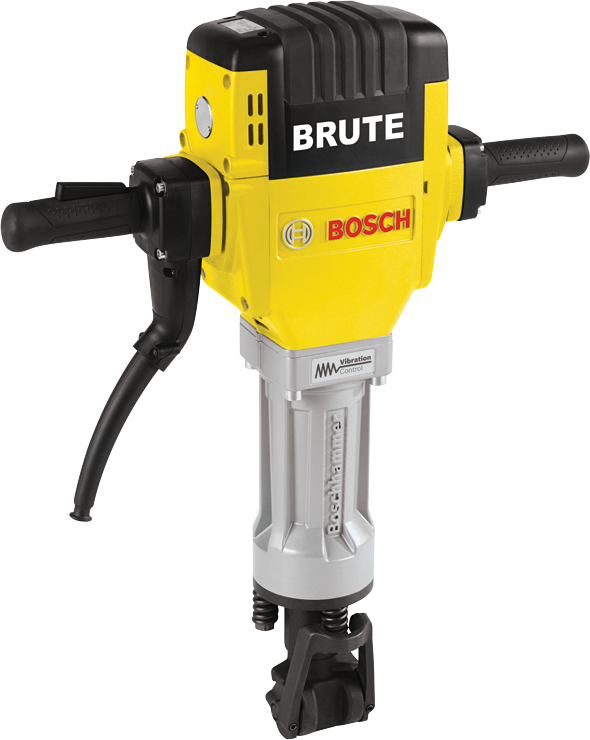 The Vibration Control system includes a longer air cushion in the hammer mechanism and shock-mounted handles. 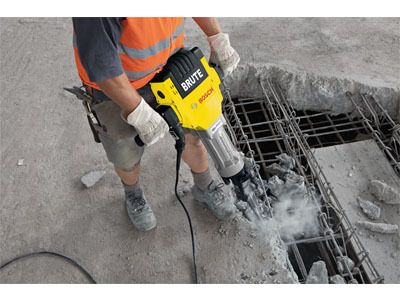 The breaker hammer doesn't need a compressor, running on any 115/120V AC/DC, 15 Amp outlet or 2,500-watt portable generator. 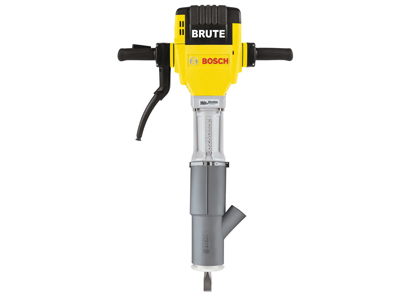 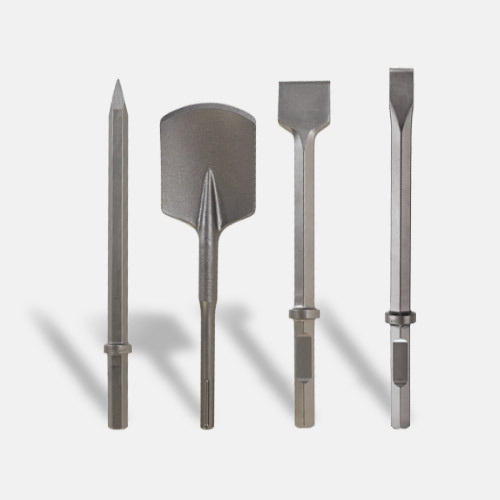 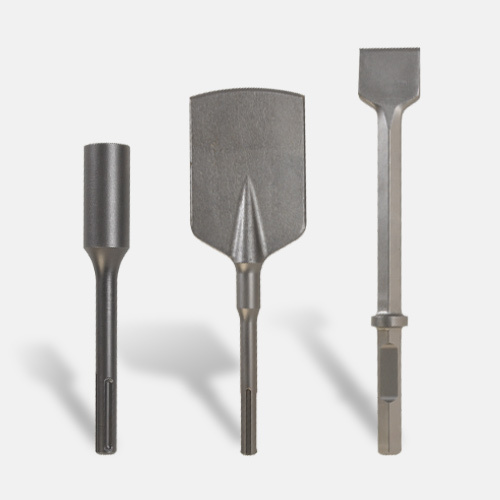 The tool employs Bosch's Service Minderbrushes, which stops the tool when preventative maintenance is needed. 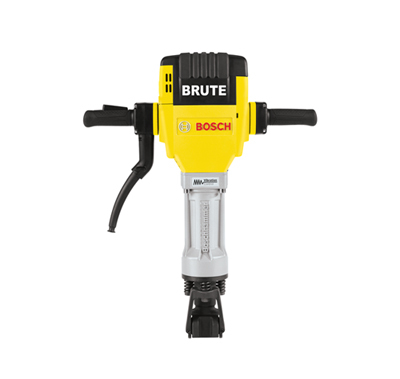 For longer tool life and better return on investment, it delivers a grease-packed gearbox and hammer mechanism, a heat-dissipating hammer tube and rubberized nonslip housing cover that helps to prevent accidental fall-over.